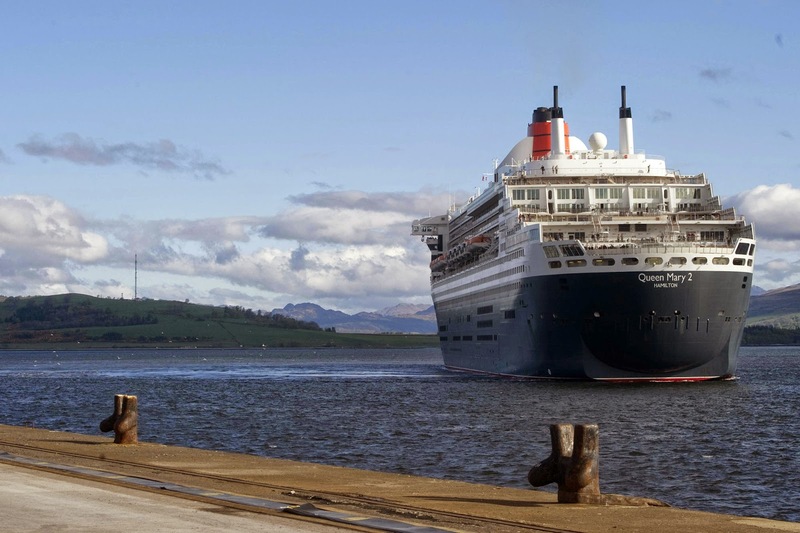 Greenock Ocean Terminal is predicted to handle 108,866 passengers during the course of 2015, making it the first Scottish port to handle in excess of 100,000 passengers. This is a dramatic increase from the 20,253 passengers that passed through the port back in 2007. The port benefits from a convenient location in western Scotland. It offers easy access to Glasgow city centre and can be found on many itineraries calling into ports around the British Isles and Northern Ireland. A total of 56 cruise ship calls have been scheduled in for the port between May and September 2015. Princess Cruises, MSC Cruises, Cunard Line, Oceania Cruises, Regent Seven Seas Cruises, Celebrity Cruises, Crystal Cruises, Holland America Line, Azamara Club Cruises, P&O Cruises, CDF Croisières de France, TUI Cruises, Saga Cruises, AIDA and Fred. Olsen Cruise Lines all have vessels scheduled to call into the port during the year. Notable larger vessels scheduled to visit the port include Royal Princess, Queen Mary 2, Celebrity Silhouette, Britannia and Regal Princess. In Wales, Holyhead Port in Anglesey is also expecting a bumper year with 23 cruise ship calls totalling in excess of 14,000 passengers. Celebrity Silhouette will be the largest passenger cruise ship expected in the port this year, standing at 122,210 gross tons.